Welcome to the Shoes By Wilhelm website. 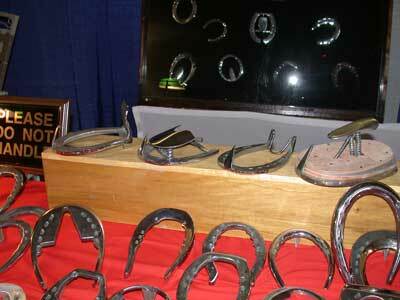 We are very proud to offer the horse industry the largest and most complete selection of Competitive, Gaited, Show, Sport, and Therapeutic Horseshoes available anywhere. 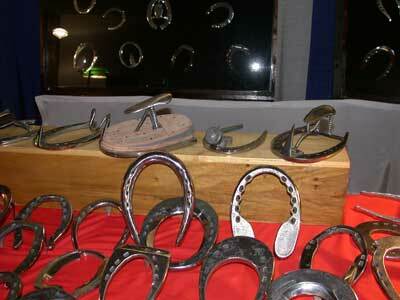 Along with offering the finest line of horseshoes available, we would also like to extend our assistance and support in the application of our shoes. Throughout our website you will find links to tips and recommendations related to the proper installation of our shoes. Additionally, we welcome you to contact us regarding any questions you might have about your animals' podiatric needs. 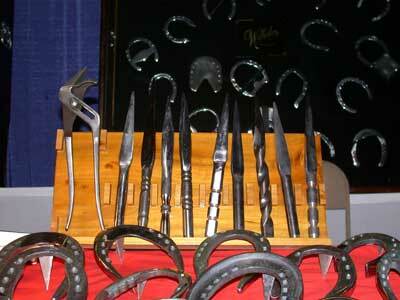 Your equine athlete's comfort and performance are important to us. We feel confident that whatever your special requirements are, we can provide a product that suits. If you don't see it on our website, please contact us. We can also custom make shoes for your unique needs. Of the numerous styles of side-weighted shoes that we offer, both front and back, and models in the shop that are not yet listed, we will be glad to make any other style you may require. On the other hand, if you understand balance, and learn to true up the horse properly, you will very seldom need a side-weighted shoe. All of our shoes have been used successfully. These shoes will elevate your status. We appreciate your patronage, and would like to thank all the fine horsemen who have contributed to the continued growth and success of our company.